Elect a union militant and Freedom Socialist Party candidate! Sign up to receive the latest from the campaign. Steve describes himself as "more motivated than ever to help build a strong movement to stand up to what is a dangerous rising tide" represented in Washington state especially by Joey Gibson and Patriot Prayer. 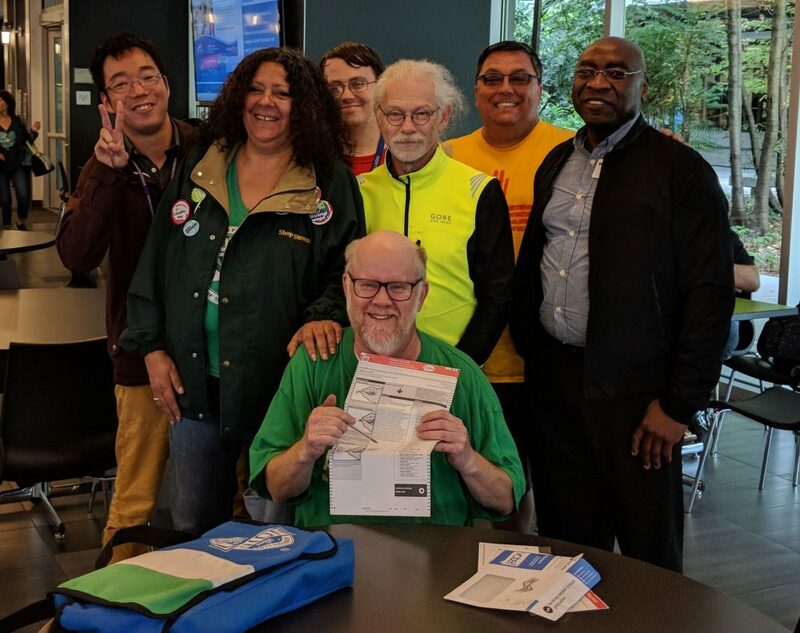 While Advocates for Hoffman celebrate the campaign's 7,000+ votes, Steve and friends remain geared up for the good fights to come — including protesting Patriot Prayer on Saturday, August 18, with one more volunteer night on Wednesday the 15th to make signs and prepare. Steve got thousands of votes coming from every county in the state, but the establishment Democratic and Republican candidates took the top two positions in the primary. Check out photos from the forward-looking election night party! 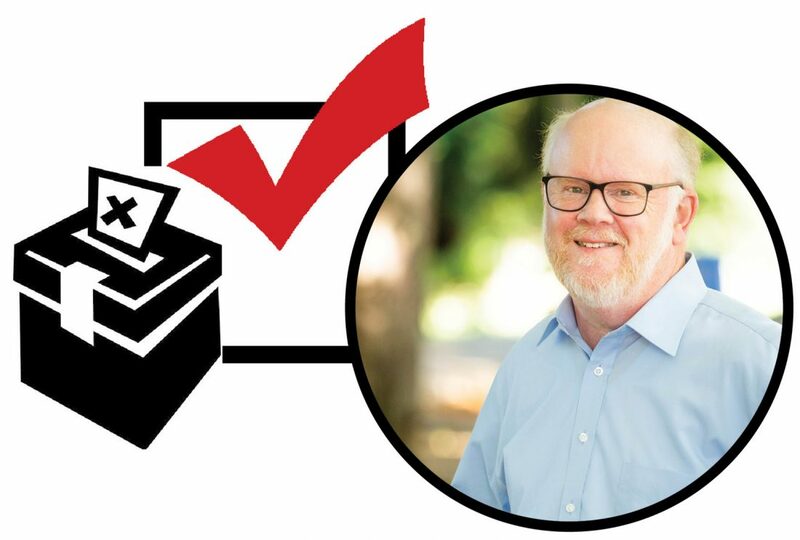 A not-to-be-missed election night party will celebrate the Hoffman campaign's achievements on Aug. 7, and a new FSP discussion group about the origins of U.S. communism will start Aug. 13. Tomorrow is it! Final voting day of the primary election! Join campaigners in waving Hoffman for Senate signs on election day. 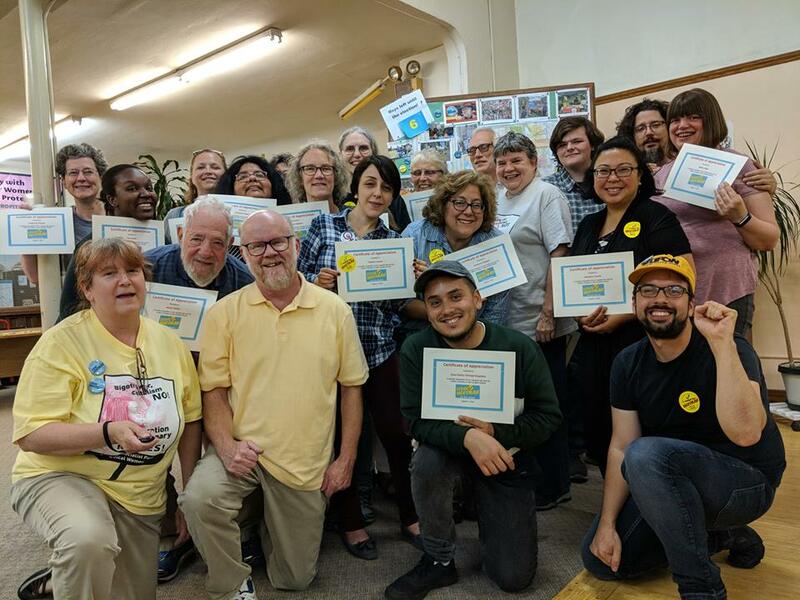 Plus, an update about the final week, from Portland, Ore., to Lynden, Wash., and an invitation to celebrate our combined efforts on election night. "My campaign is about building a movement to stop the attacks on unions, public education, civil rights and social services." See how you can help the campaign. The Freedom Socialist Party is a revolutionary feminist organization bent on replacing the ugliness and unsustainability of capitalist rule with international workers’ democracy. Members of different colors, ages, genders, and sexualities fight as one for all who are exploited and oppressed and for a healthy future for the planet. 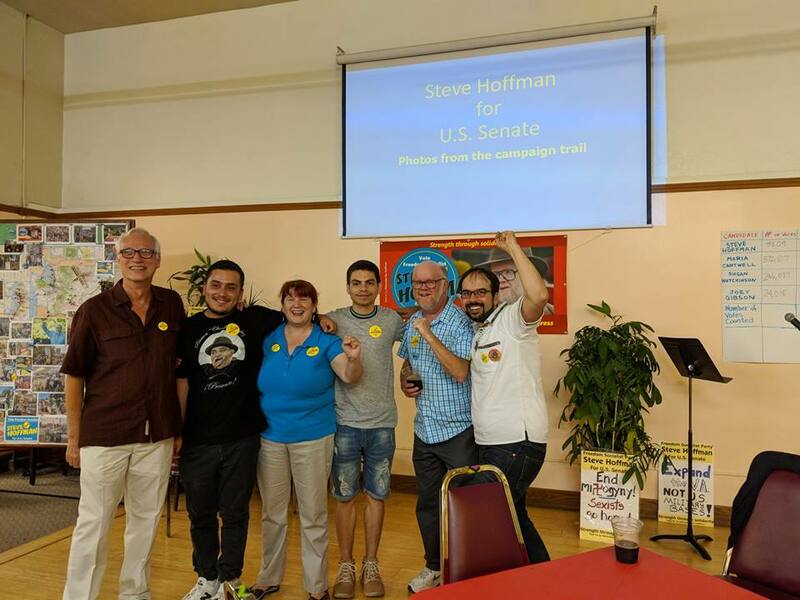 "Steve Hoffman is a candidate who believes in no borders and finding ways to accept immigrant families into this country as they are." "I feel like he's a candidate I can trust. That his words are not just empty promises." "He believes in multiracial organizing and leadership....As a queer woman of color, that's so important." Steve calls for the US to open its borders and to cease its violent immigration policies.